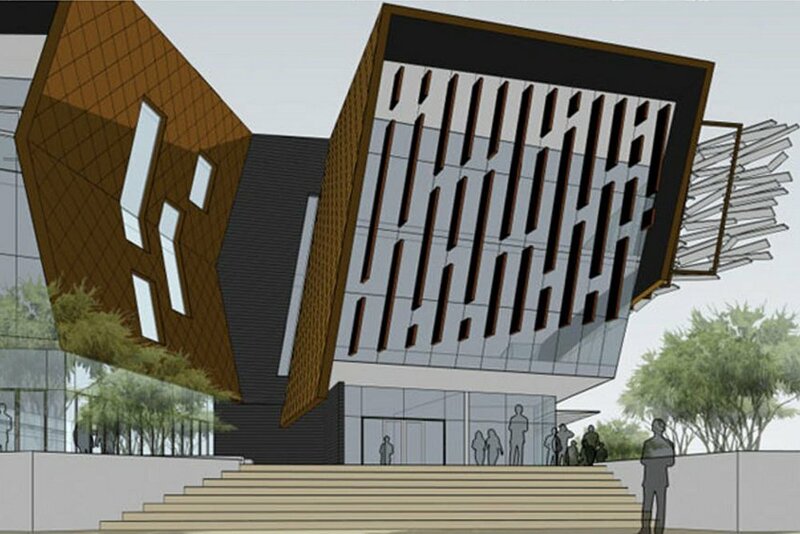 The proposed Faulkner Civic Centre is a new community facility for Belmont Council and is located at the junction of Wright Street and Progress Way, Belmont, WA. The project involves the construction of a multi-functional community centre development with associated car parking. The complex incorporates a single car park at basement level with associated stores, with the remaining 3 storeys containing a cafe, library, senior citizens facility, demonstration area, museum, crèche, Not-for-Profit tenancy offices plus various back of house facilities. The built form comprises of a raft basement slab with insitu concrete columns & walls, the upper floors will be insitu concrete columns & beams with pre-cast concrete floors, structural steel columns for the façade and structural steel roof with metal roof sheeting. The external cladding is a mixture of finishes (metal, timber, shingle cladding) to highlight the high level of design. Due to the location and design of the project, dewatering is required for the construction of the basement. There are also external works for the building, with a Western Power substation, pump room & tank enclosure, bin store, sub-surface services and extensive hard and soft landscaping to integrate the new to existing buildings and surrounding parks.